We’re bringing you two videos that together will take under ten minutes of your time: One made some months ago, when the trees in the picture still dappled the hillside with their shadows; and a recent one that follows up on what’s going on there now. 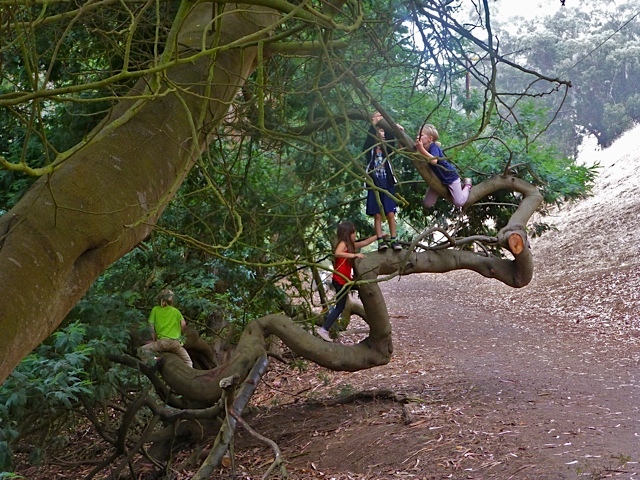 The first 5-minute video is a wonderful talk from Alma Hecht, Certified Arborist. 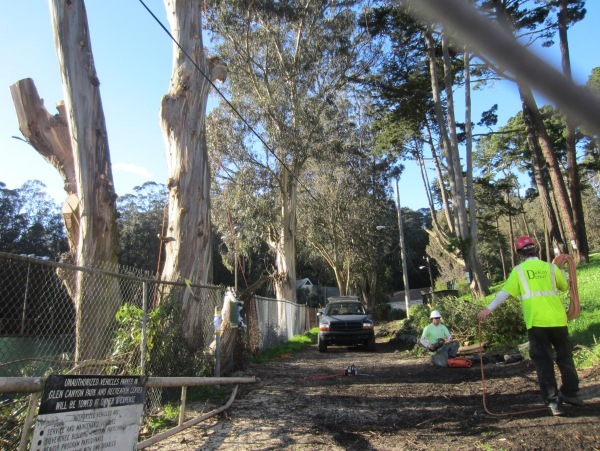 She gave it at an SF Forest Alliance meeting before the Elk Street entrance trees were cut down. 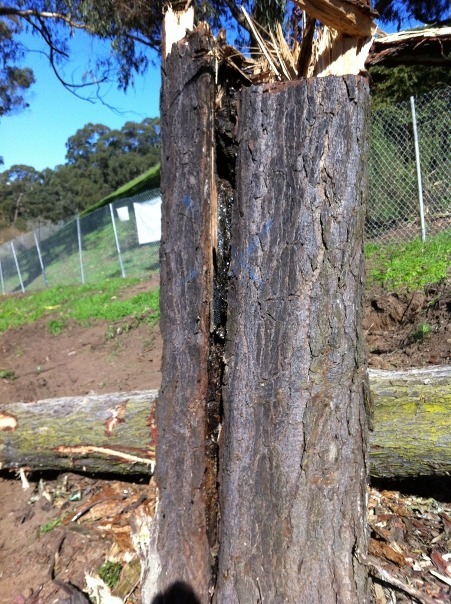 She addresses the issues of why it’s important to preserve trees – and “poor suitability” is not a reason to cut them down unless they are hazardous. 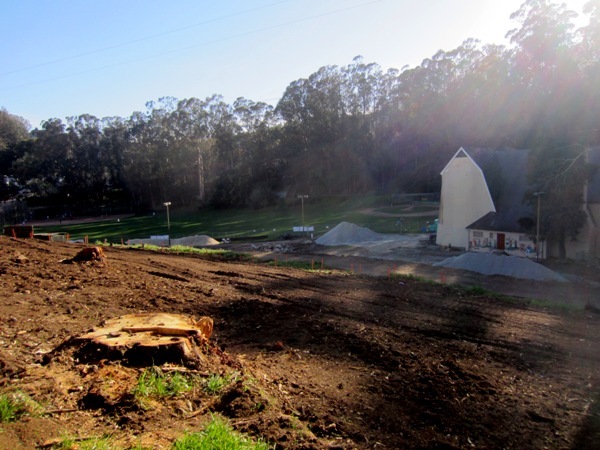 And now, the trees are all gone and the hillside is being excavated. Check out this 3-minute video to see the Glen Canyon project at 3 months – and understand why it’s so expensive. What’s $5.4 mn going to buy us? The kids who play in the park today will grow up to pay off the Bonds that financed this demolition. This tree-felling is just the beginning. If you love the canyon as it is, now is the time to speak up. Well, it’s done. The grove of trees that graced the park’s Elk Road entrance is now a bunch of stumps and mulch. Here’s what it looked like when the cutting had just started, and what it looks like now. 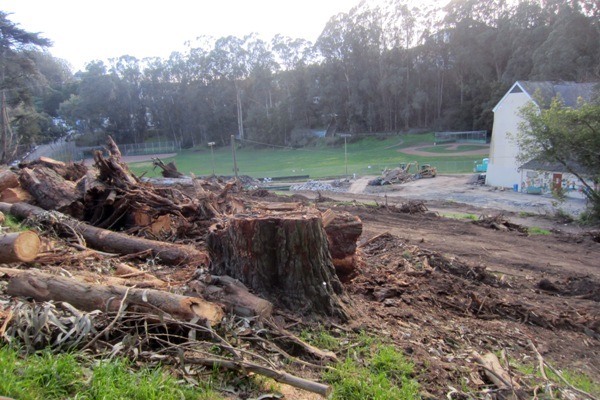 The Rec Center stands forlorn, shorn of all its groves. The same avenue – picture from the opposite side. All the trees in the picture above are gone. A lady came up as I took some photographs. “It’ll get better,” she said. “It’s a shock, but it’ll get better.” Well, yes. How could it possibly get worse? 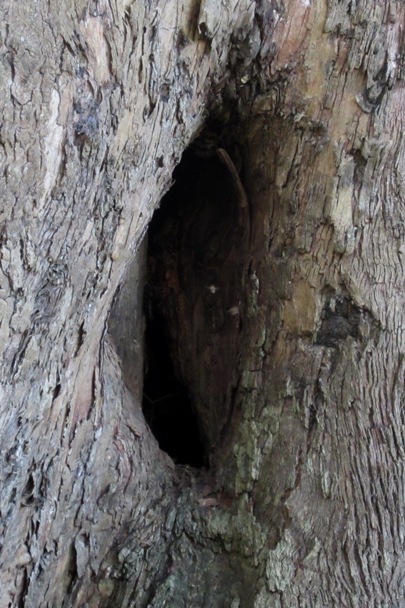 The owl tree looks promising, and when we went by, there wasn’t much disturbance. Great Horned Owls can tolerate a lot as long as they’re not threatened; after all, this pair have raised their broods where people walk their dogs, and children play. So we are hopeful. The canyon is just splendid with wildflowers, even prettier now than before. 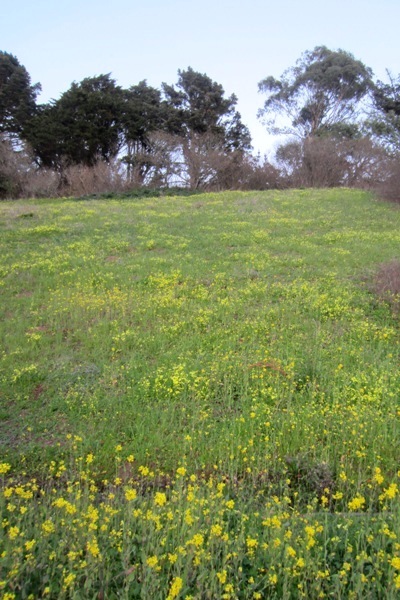 The grass is a brilliant green, the oxalis almost neon yellow, and drifts of mustard a warm gold. 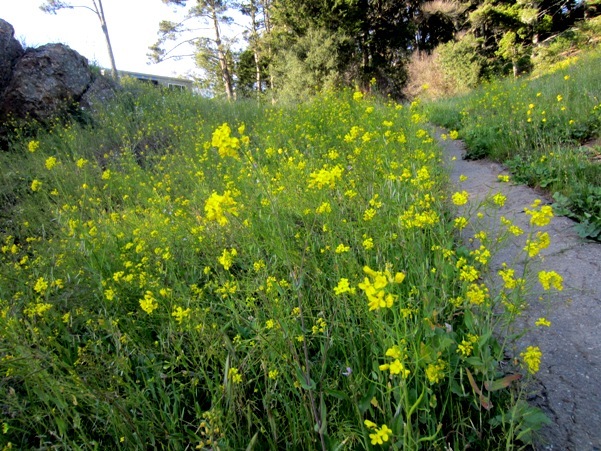 Wild radish interrupts with pink blossoms, and occasional California poppies add orange exclamation points. The eucalyptus is flowering. It’s bee heaven out there, and I’m pleased to say the last remaining bee tree (of the three that existed only two years ago), seems to be flourishing. I saw a bees coming and going in a peaceful but busy way. 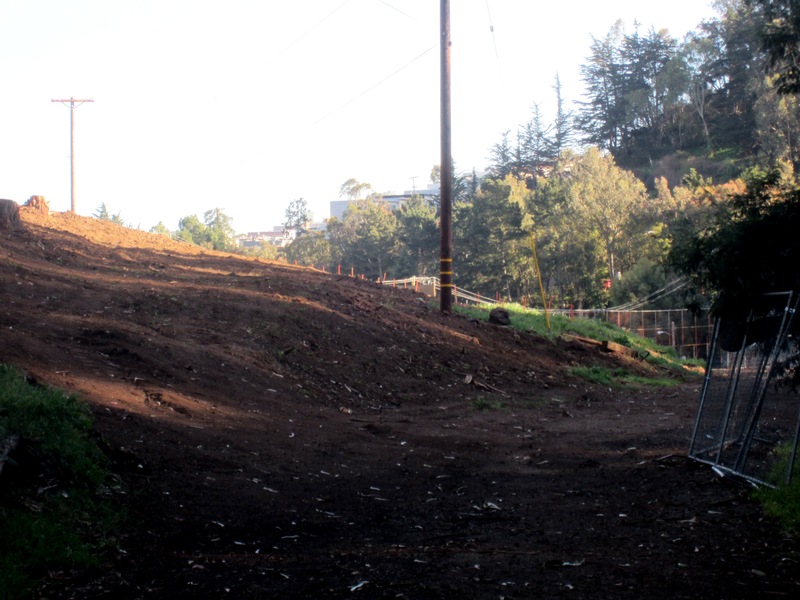 After so much sad destruction to report, it’s nice to write about the brighter side of Glen Canyon Park. And is it ever bright! 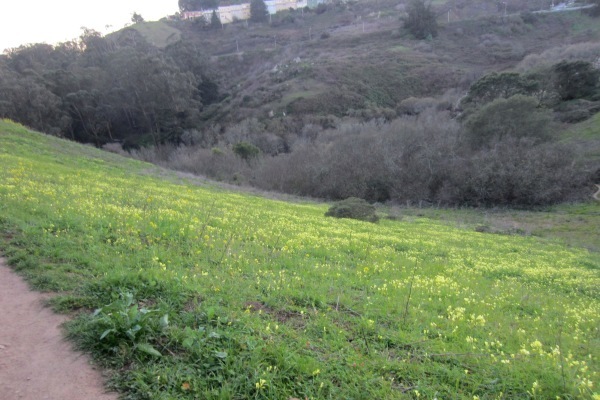 Spring has come again to the upper slopes of Glen Canyon in a blaze of yellow, the bright light color of the oxalis (Bermuda buttercups) and the mellower darker color of the wild mustard. The flowers bejewel the meadow below the Christopher Playground, contrasting with the darker vista on the other side of the canyon. The best time to see these flowers is on a bright day. Oxalis furls its flowers like tiny umbrellas in shade or rain, and we took these pictures in the evening when they had closed for the day. It was still lovely. 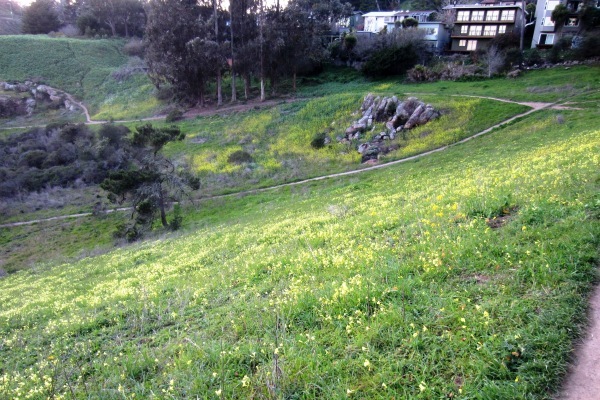 The Natural Areas Program dislikes oxalis, and in earlier years, pesticide warnings soon followed the flowers. “Volunteers” presumably took their cue from that, and there was illegal spraying. We’re glad to see that the area around the rock, pesticide-sprayed by a “volunteer”, seems to have recovered to bloom nonetheless. Also, at least thus far, there are no pesticide warnings. And did we say “golden”? It’s not just gold. 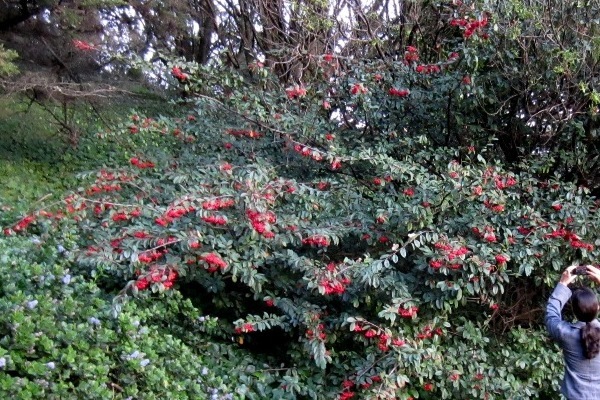 This cotoneaster was covered in berries so red they almost glowed in the dusk. 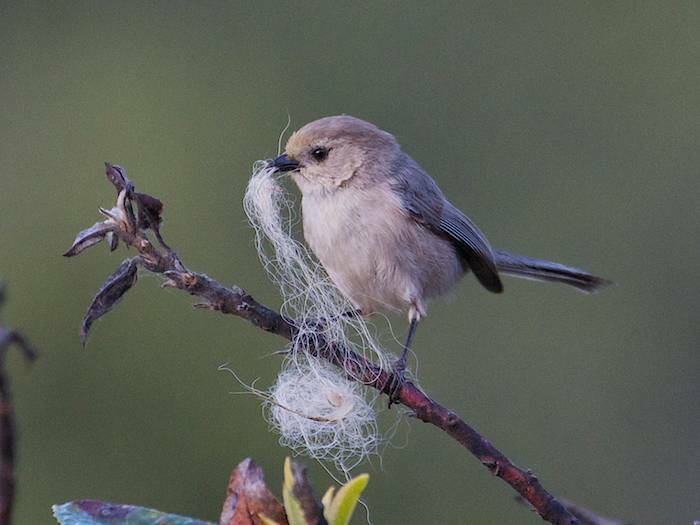 They attract birds – and paparazzi. 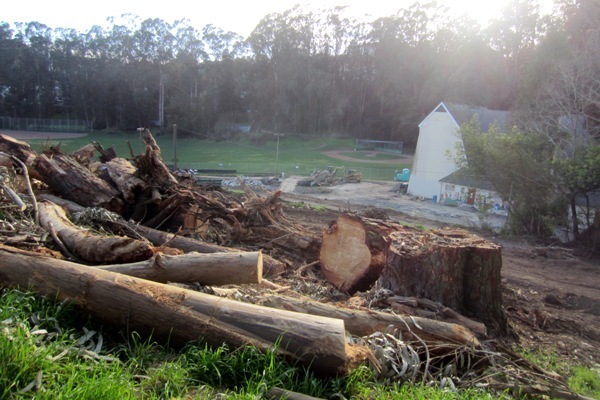 This article is from SaveSutro (republished with permission), about the destruction of the first feral bee hive in October 2011. 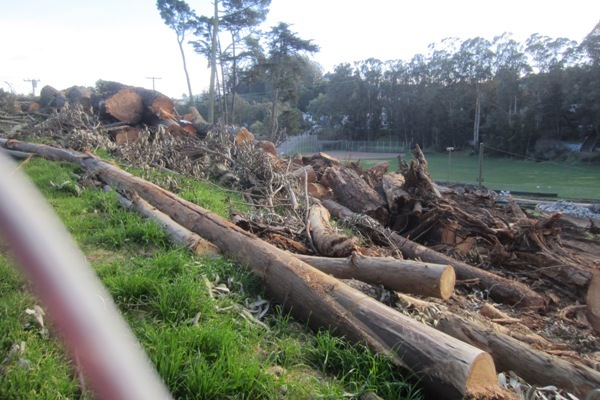 This was going to be a post about the San Francisco Natural Areas Program (SF NAP) destroying a hive of feral honeybees in Glen Canyon Park. It still is, but with less anger. 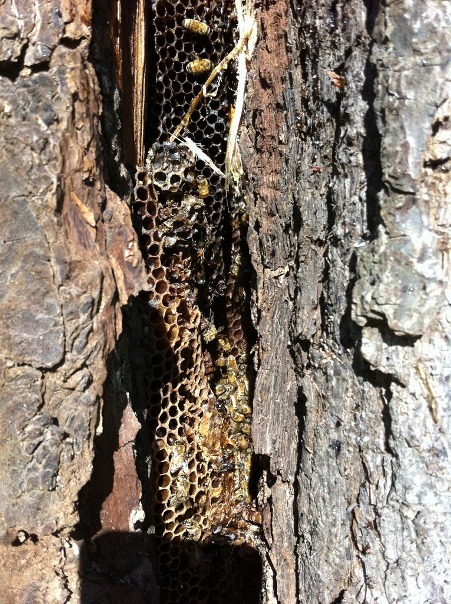 This nest had been there for a long time, and bee-lovers had been watching it. It was registered with the Feral Bee project. What happened? everyone wanted to know. Someone spoke to a Rec and Parks employee about it. He said they were hornets or wasps. He expected the stragglers like the bee up there would find a home elsewhere. 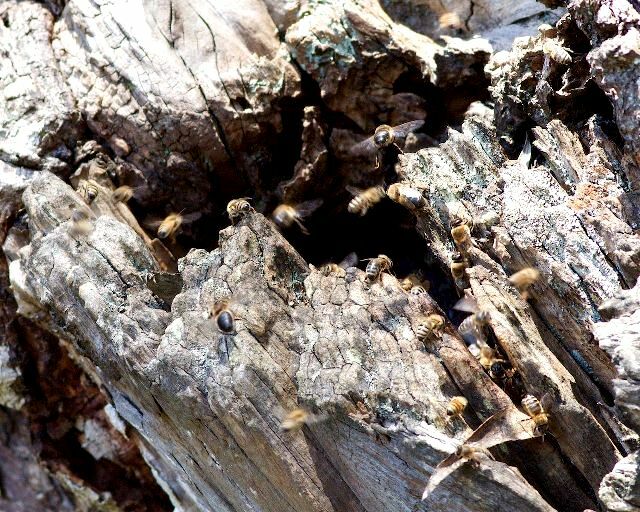 He gave no assurances about saving other hives. 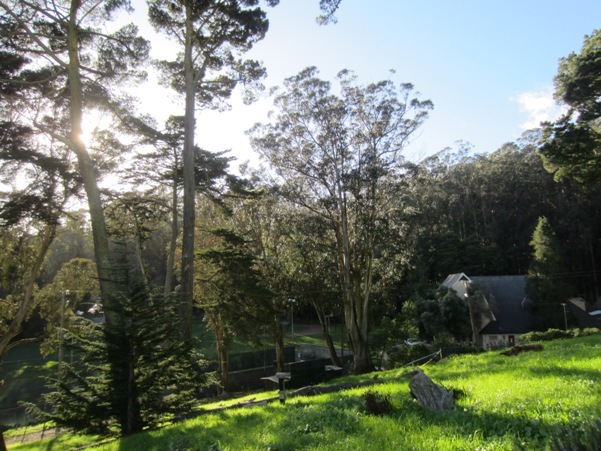 The San Francisco Bee-keepers Association wrote to SF NAP. That was a good start. Even better, she followed up by actually investigating the incident with the concerned people in her department. 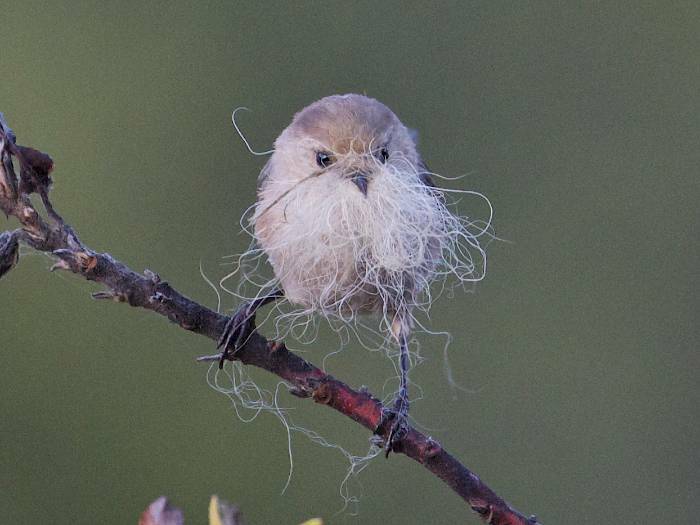 The person who sealed the nest explained what happened. 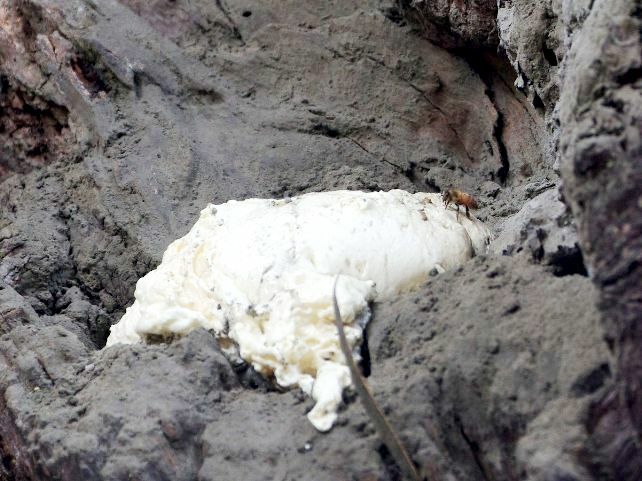 He’d received information that a park visitor had been stung. 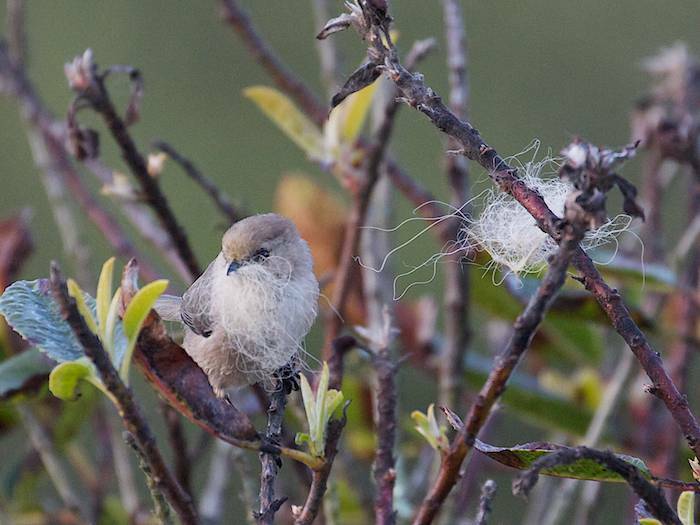 He contacted her, and she said she had been stung while helping someone else who’d been stung several times. 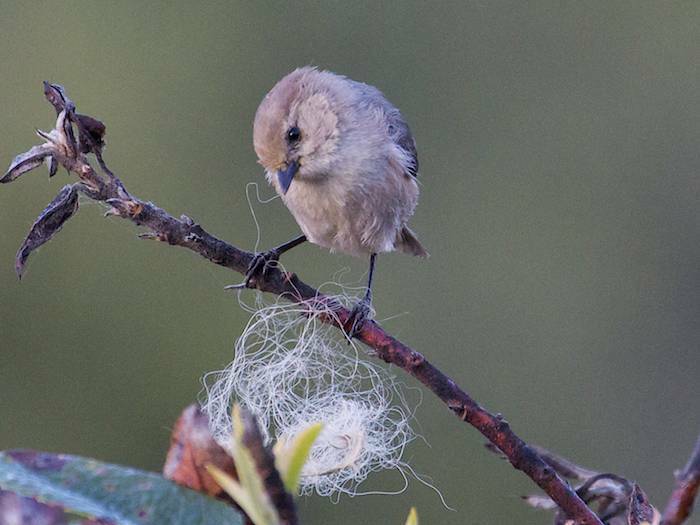 When the Parks employee checked it out, he found the insects flying angrily around the nest. 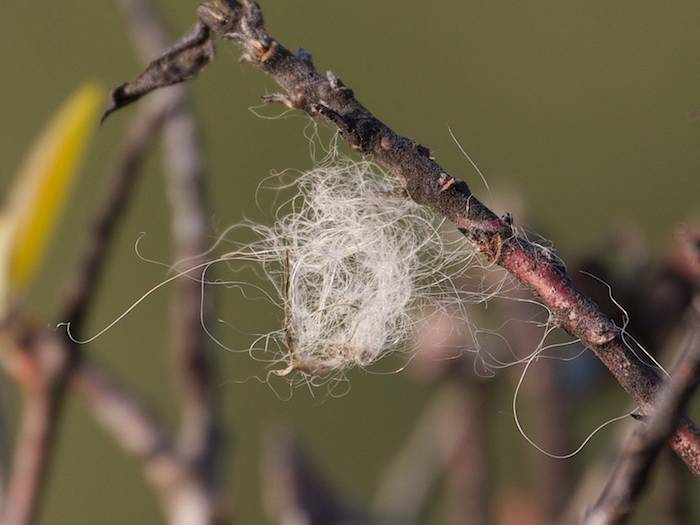 At dawn the next morning, he poisoned the nest with an “Eco-exempt product” (from their previous records, wasps and hornet nests are treated with 499, an insect killer – the mixture referred to above), “and sealed the opening with foam sealant and cement.” Since the nest was quiet so early in the morning, he didn’t realize they were honeybees. He was unpleasantly surprised when he was informed that they were. Still, it’s reassuring to know that the destruction was accidental and that SF NAP is taking steps to prevent a recurrence. 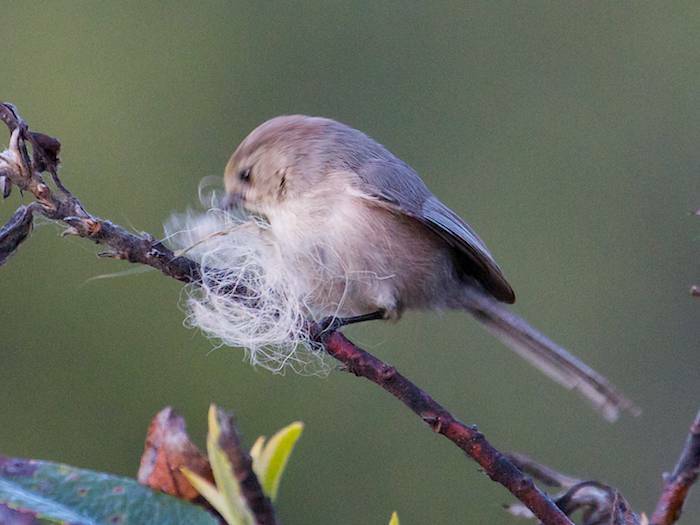 This may help to preserve the other nests we know are in Glen Canyon. 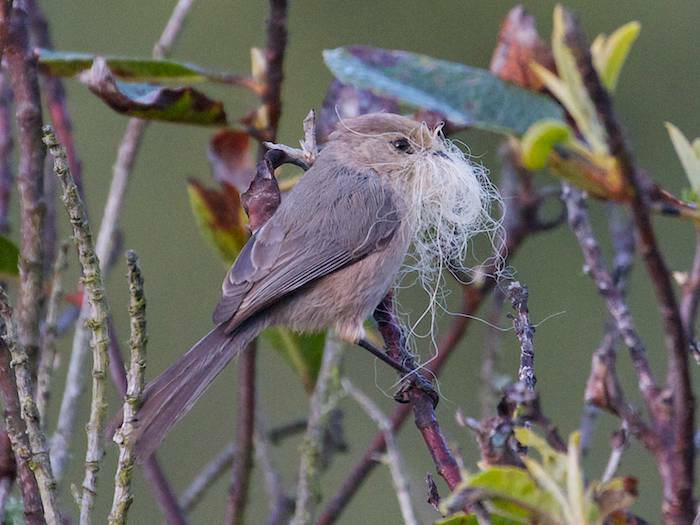 We hope SF NAP will be as considerate of other birds and animals whose habitat is being destroyed in Natural Areas with the cutting down and poisoning of thickets and trees. 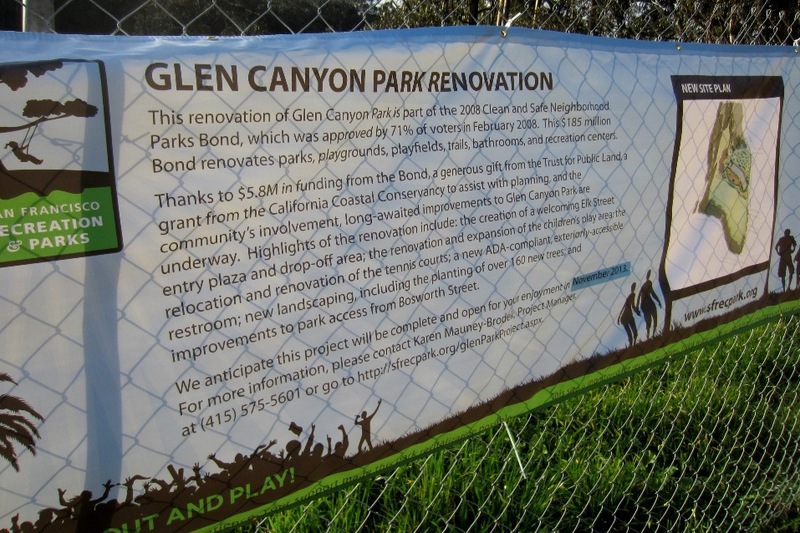 We’re continuing to document the work at the Elk Street entrance of Glen Canyon. 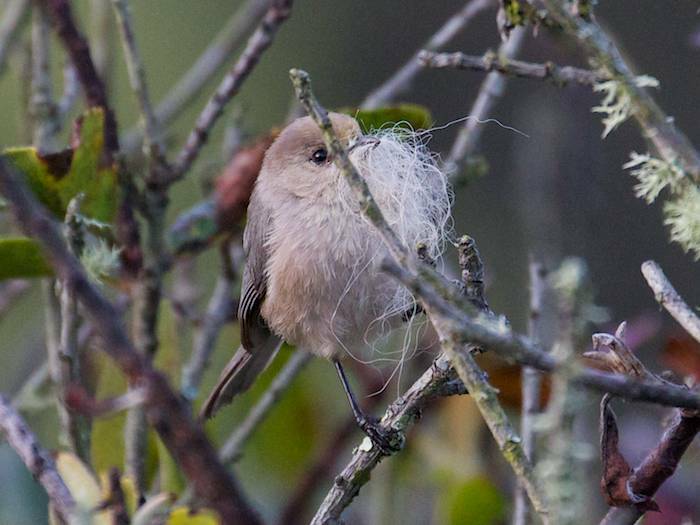 Here are some recent pictures. 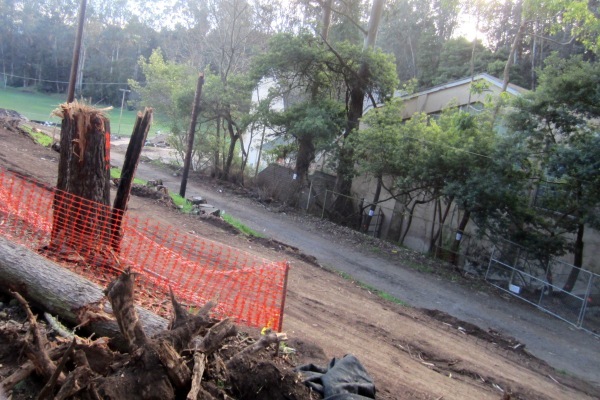 It looks like what it was – a logged worksite where lately there were trees and bushes. 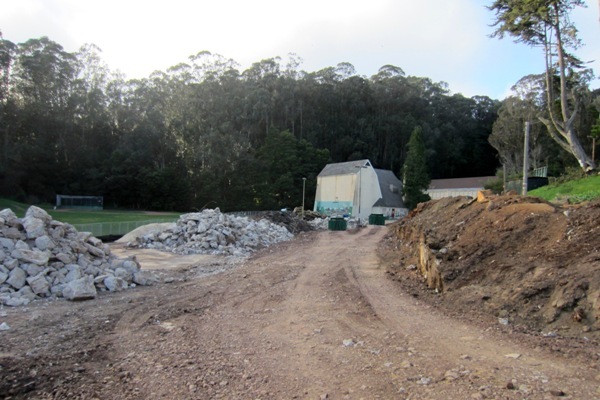 We hope the realigned tennis court, the new playground, and the grand new entrance with native plants will be worth it. 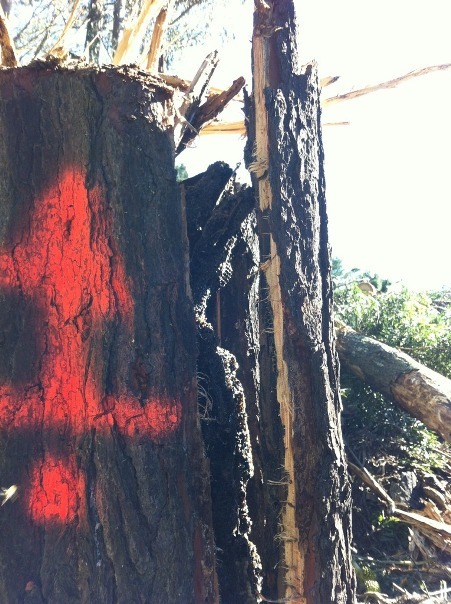 These are some pictures of the logged slope around Alm Rd. 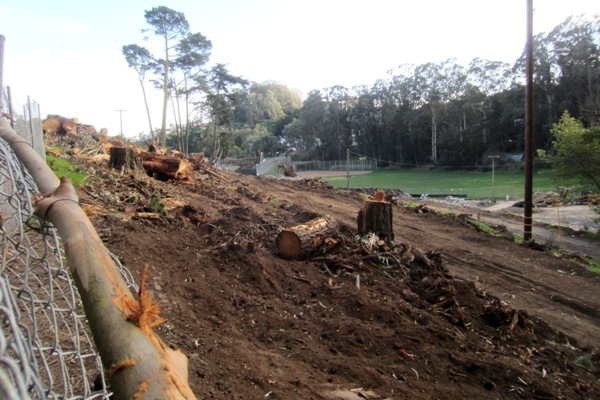 Most of the trees around the Recreation Center are gone now. But the greenery, the bushes you can see lower down in the picture between the road and the Rec Center? They all bear the white labels of doom. They’ll be gone, too, soon enough. It looks bare from the road; there’s chain-link fence all around. 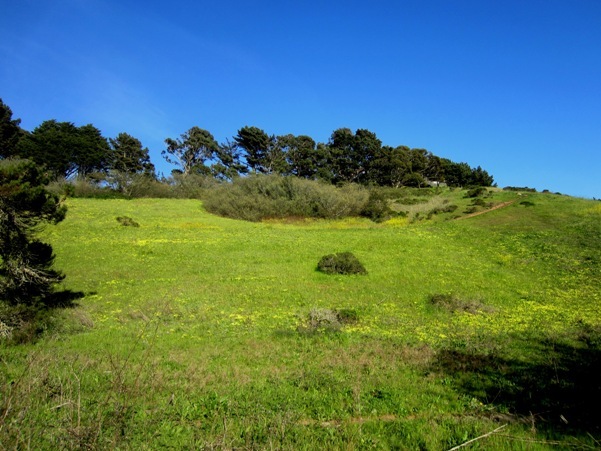 A banner proclaims that SFRPD will plant 160 trees, even though that’s not exactly true: at least a quarter of the plantings will be shrubs. And the “trees” will be saplings – it will be take decades before they’re grown into anything like the majestic trees they’re supposed to replace. 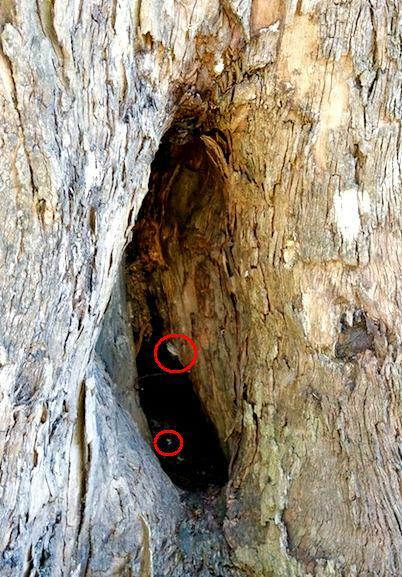 Will Glen Canyon’s famous Great Horned Owl pair nest here this year? We don’t know. The season would be around now. We’ll post what we hear. You can find a link to a video, HERE. 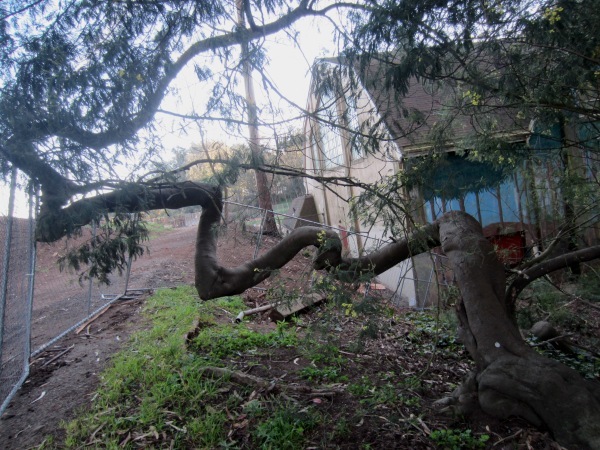 It’s Glen Canyon Park Demolition Project: Weeks 3 and 4 by neighbor Ron Proctor. He has been documenting the project in photos and video.